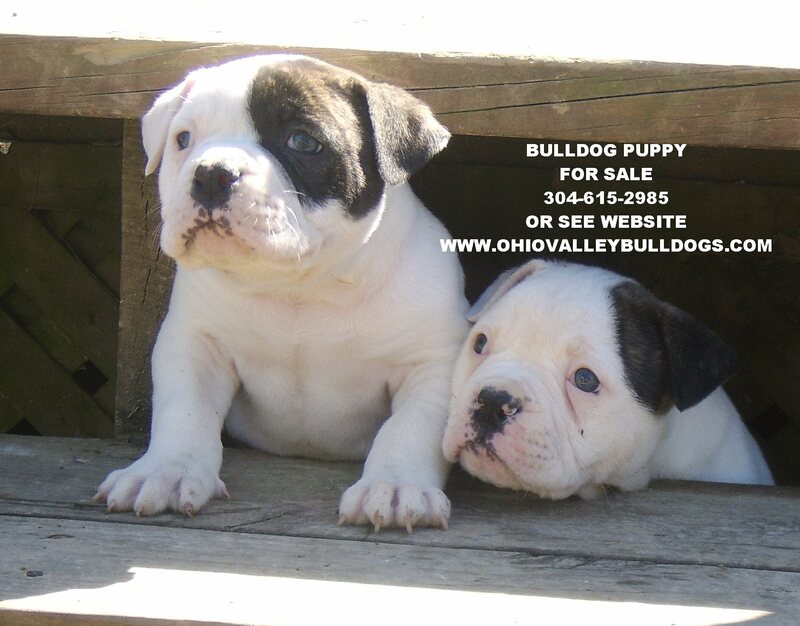 At the discounted Price of $_______ - The buyer agrees to give a (____) pup(s) back to Ohio Valley Bulldogs on the 1st breeding and 1st pick pup(s) (male(s) or female(s).) will be chosen by Ohio Valley Bulldogs. If the litter is smaller than 2 pups Ohio Valley Bulldogs will wait until the 2nd breeding. If pup/dog is sold before she has been breed new buyer most understand that Ohio Valley Bulldogs gets 1st pick pup(s) from one of her litters. If new buyer can not agree with these terms remaining balance of $______ (making total price of pup $1000) must be paid to Ohio Valley Bulldogs. At the discounted Price of $_______ The buyer agrees to give a (____) Stud Service to Ohio Valley Bulldogs with the Male pup sold. After the male has turned 18 monhs old OVB will have access to the male for up to (____) stud service with any female he chooses. 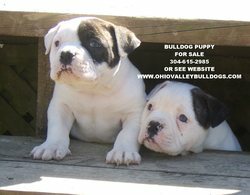 If pup is sold before OVB get the (____) Stud Services, new buyer most understand that Ohio Valley Bulldogs gets (____) Stud Services. If the nw buyer is not within driving distance semon can be shipped at buyers expense. If new buyer can not agree with these terms remaining balance of $______ (making total price of pup $1000) must be paid to Ohio Valley Bulldogs.